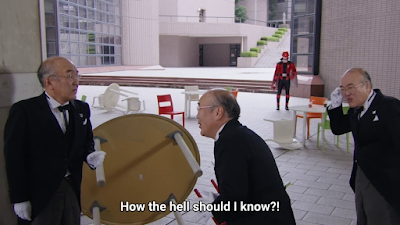 It gets funny to meet le super nice guy Kogure. Okay, he's an old man but he sure was acting like a polite youngster to an old woman. I guess he's still badass or what? But that personality is also somewhat senile too. Meanwhile le, Global Police are also doing their part in trying to settle le chaos down. 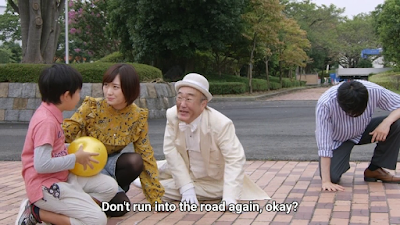 It's amazing how Keiichiro and Sakuya still manage to pull it off -- even if as I love to say it that Tsukasa is probably the only one with a brain in said group! How to put them together? Literally push them back together! Meanwhile, there's also badass Kairi who's a badass grandpa -- or not. 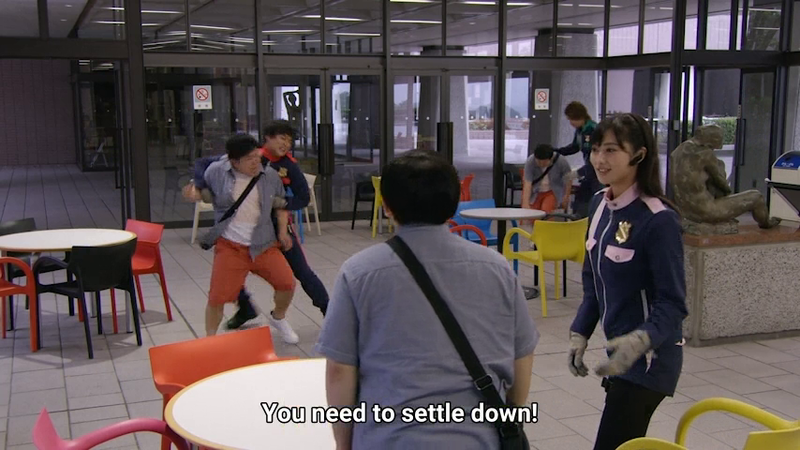 I just laugh at how Kairi manages to counter le third split personality. But when they go back to Le Bistrot Jurer -- they find out that Kogure has gone missing. 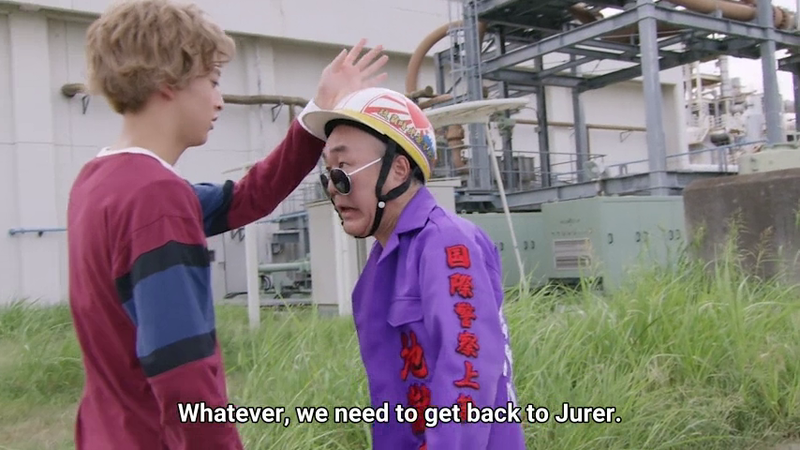 Surprise or not -- Kogure went to disguise himself as a factory worker to fool Doriun. 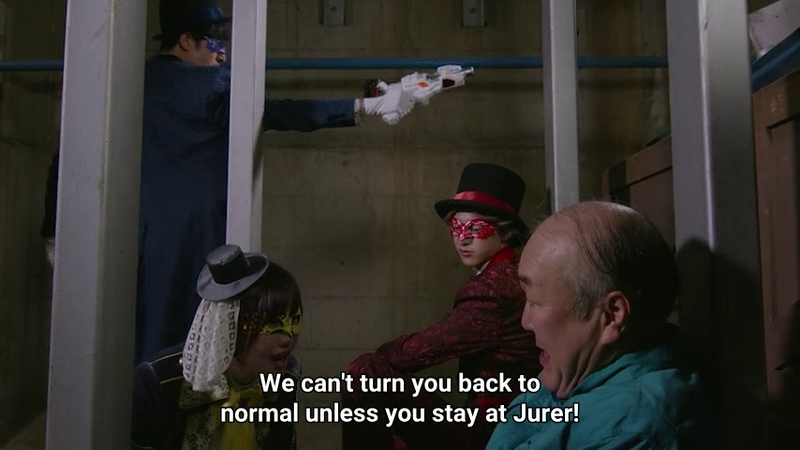 I always feel sorry for Kogure whenever he goes into all that risk. He's an old man yet he somehow is passionate about getting le collection together. I wonder, is he secretly receiving orders from Noel too? 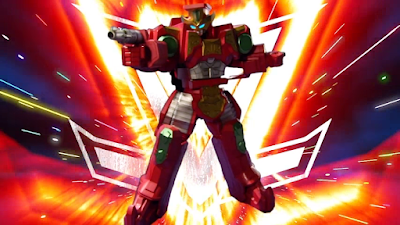 Le Lupin Magnum shows off its robot mode. 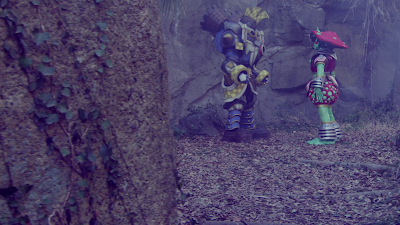 There's some amazing work of mixing le suit actor and some amazing CGI. Back then, I remembered how stop motion was once an entertaining thing for any old schooler like I am. 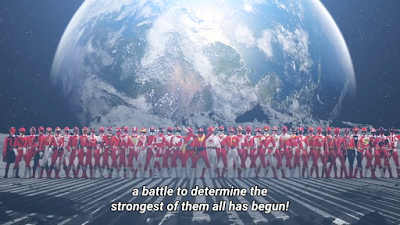 However, le dawn of CGI has arrived with better fight scenes. Le robot mode of le Lupin Magnum also enlarges itself for le battle. 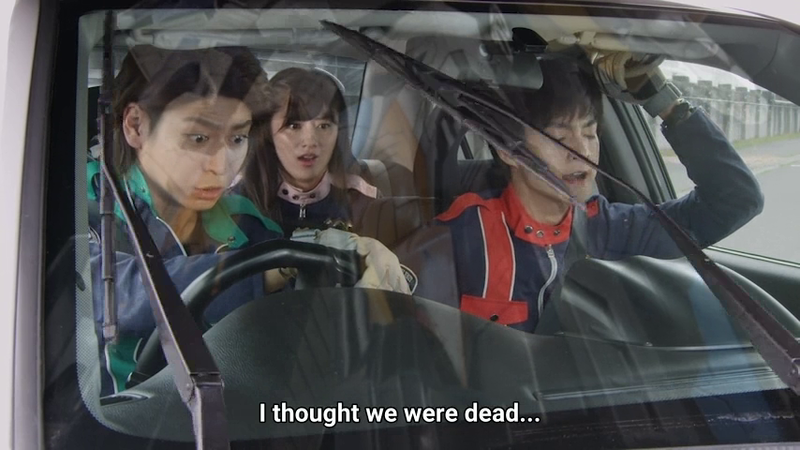 Also, I wonder how in the world was this disastrous drive scene filmed? Did they use a couple of stunt actors in between? Regardless, it's really stupid how or why is Sakuya still entrusted with le wheel when he's such an idiot to start with? Judging by le scene -- it seems it's a combination of stuntmen and le Patrangers -- though never forget that le celebrities also have shown amazing footwork. But again, I doubt it that le cast would actually do le dangerous scene themselves without professional stuntmen doing le more dangerous tasks! 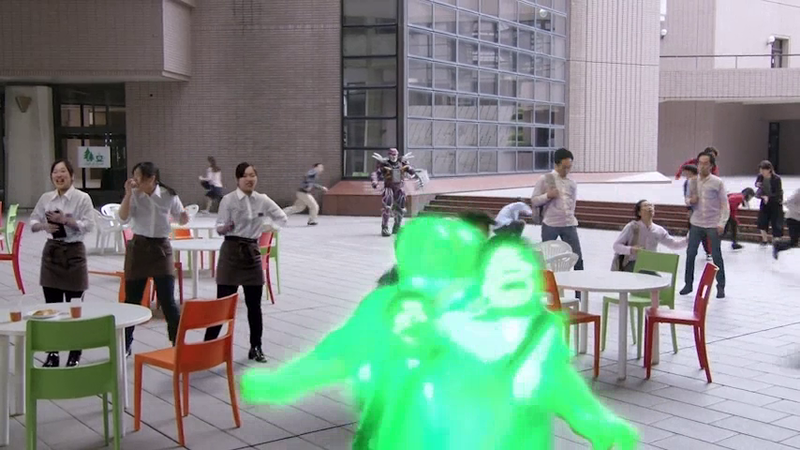 Finally, Kogure is put back together. 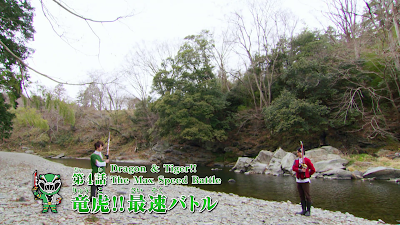 I really find it a relief as there's few minutes left and le Lupinrangers finally pull it out! Next week, it's all about "keep your cool" huh? 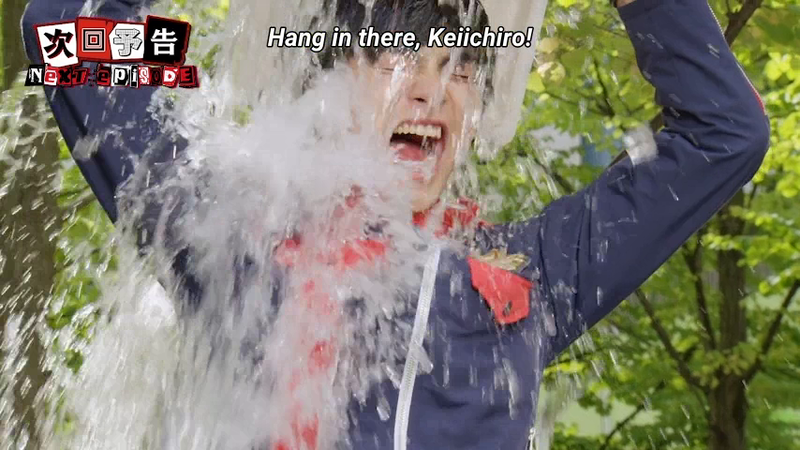 Keiichiro is known to be very temperamental and a necklace suddenly calms him down too easily. 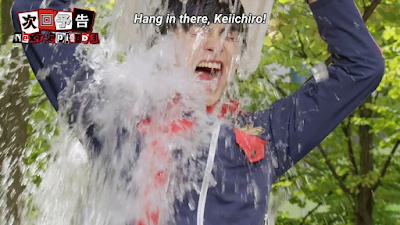 Also, I wonder did le actor Kosei Yuuki just sign up for le ALS Ice Bucket Challenge too?